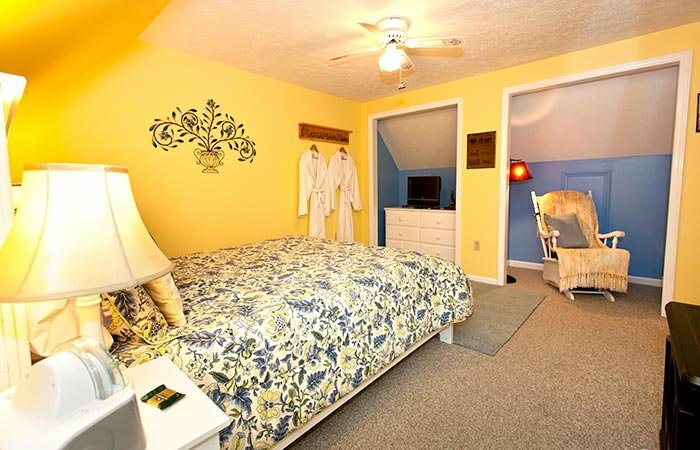 This is the middle house that also has 3 guest rooms, 1 full kitchen, a living room for guests to use, relax and enjoy. 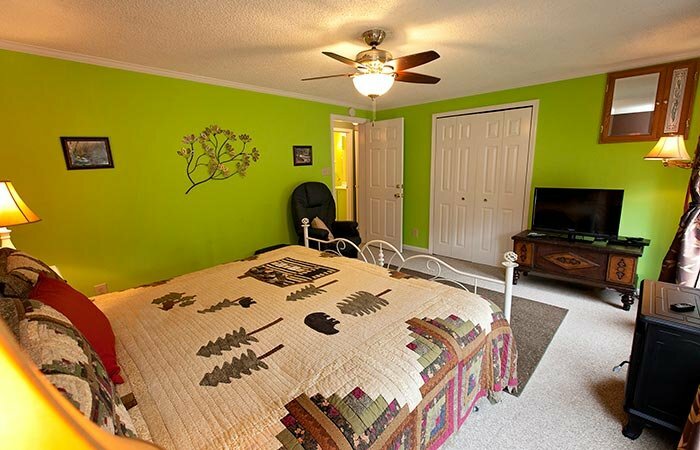 The house’s name comes from the beautiful dogwood trees outside. 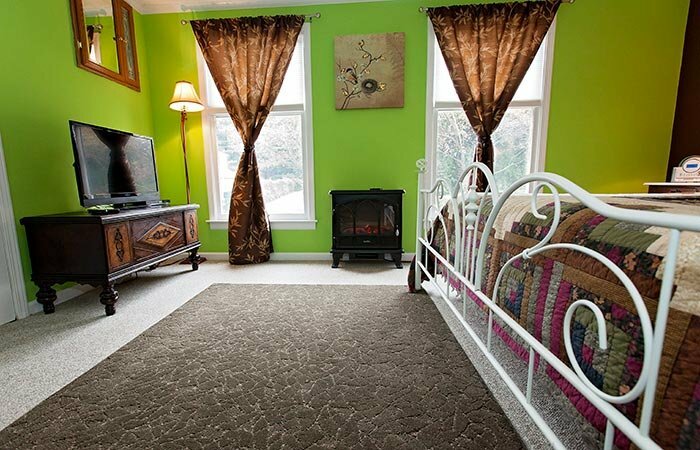 This room takes its theme from the Virginia Anthracite & Coal Railroad that brought among other things cadets to Tech in its early years. 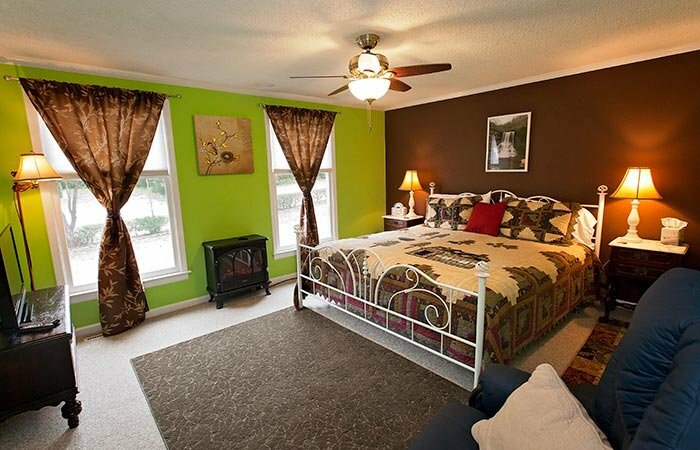 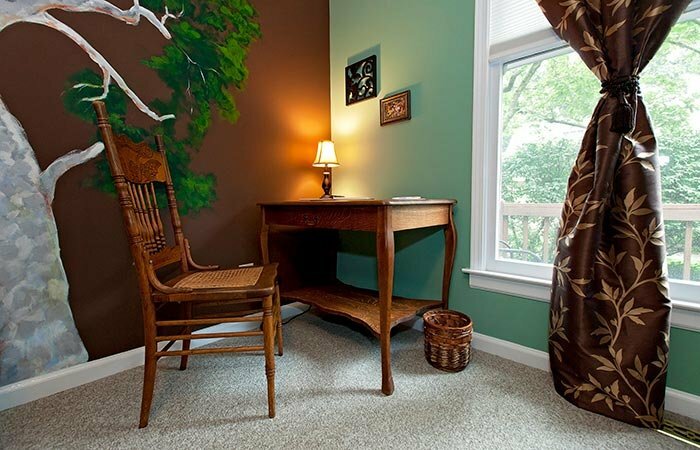 This is the perfect room for “Train & Nature Lovers,” filled with nature & train pictures. 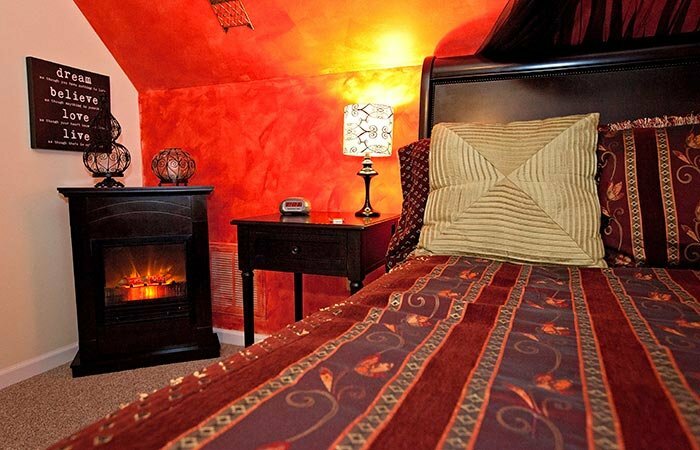 This room has a Queen bed, PRIVATE and INDIVIDUAL bathroom with a bathtub & shower, extended cable TV & DVD and an electric fireplace for those wintery nights. 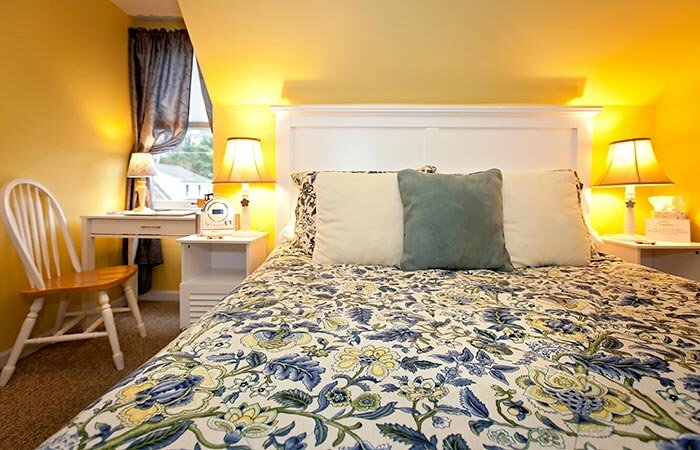 Room rate is based on two guests. 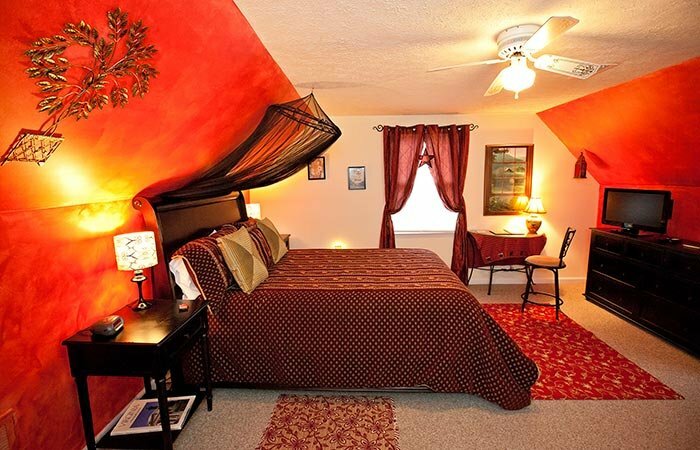 Each additional guest is $50/night + tax. 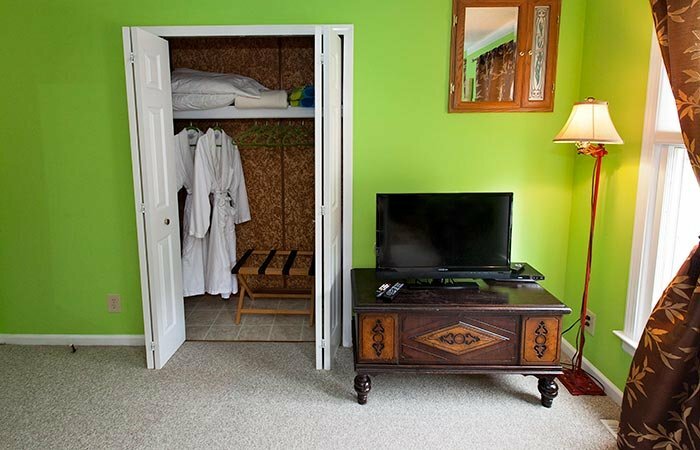 This room is situated in the Dogwood House where you will find a shared kitchen with complimentary sodas, water, coffee & tea as well as a lounge area to relax or work in. 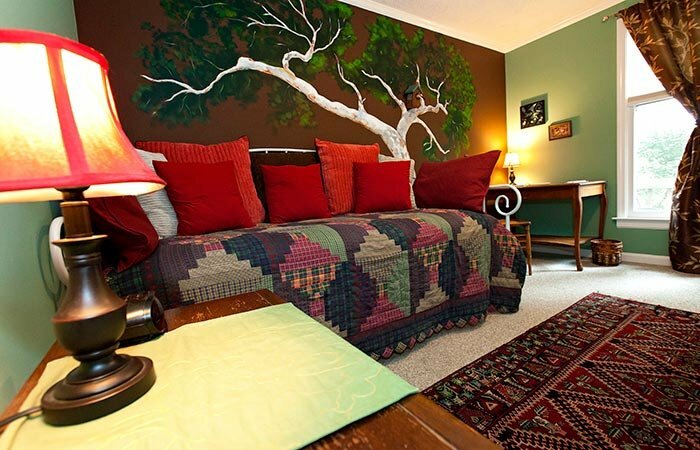 This is the perfect room for nature lovers. 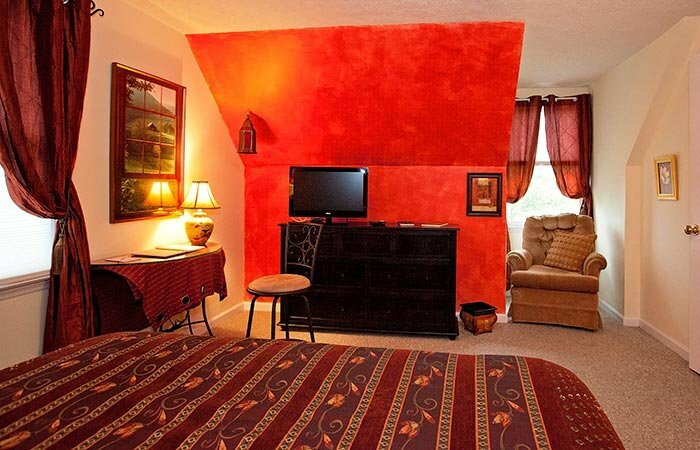 Chocolate browns & greens warm up this room & pictures of the nearby Cascade Falls cover the walls creating an elegant yet cozy atmosphere. 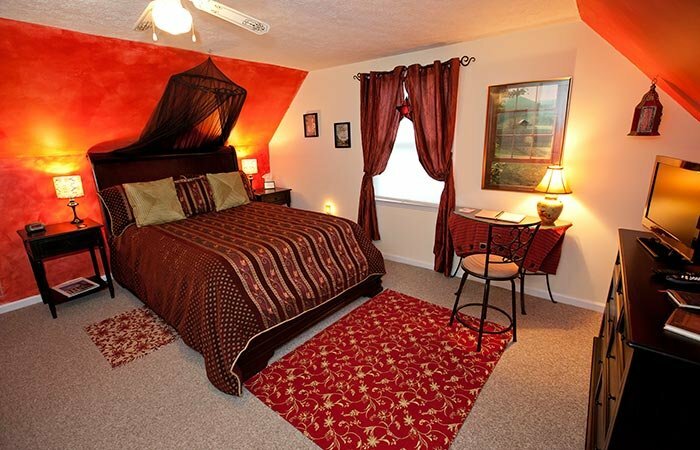 This suite has two rooms, one with a king bed and the other with a Queen bed. 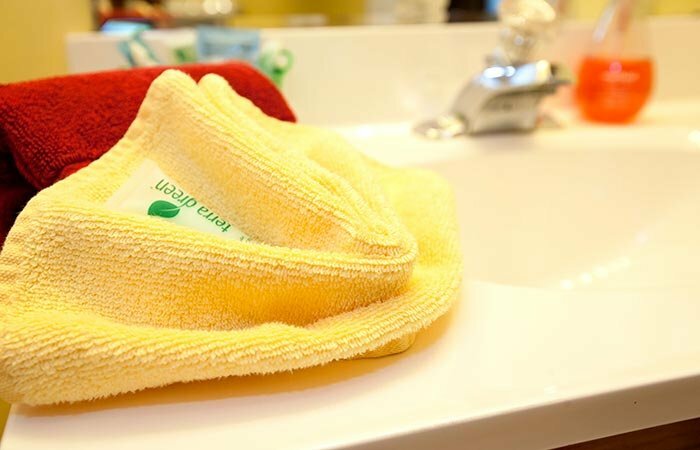 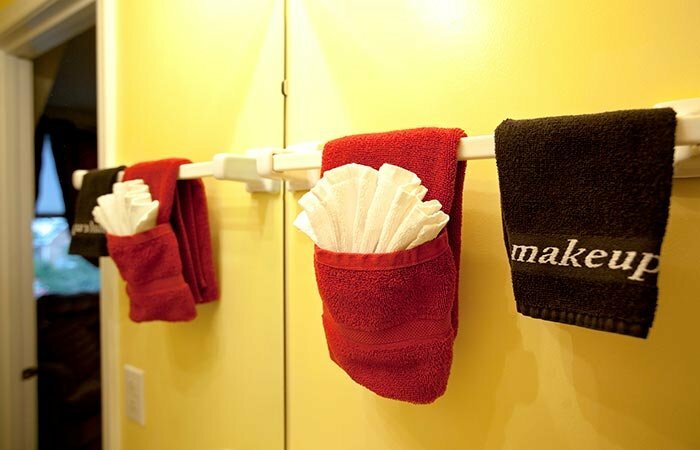 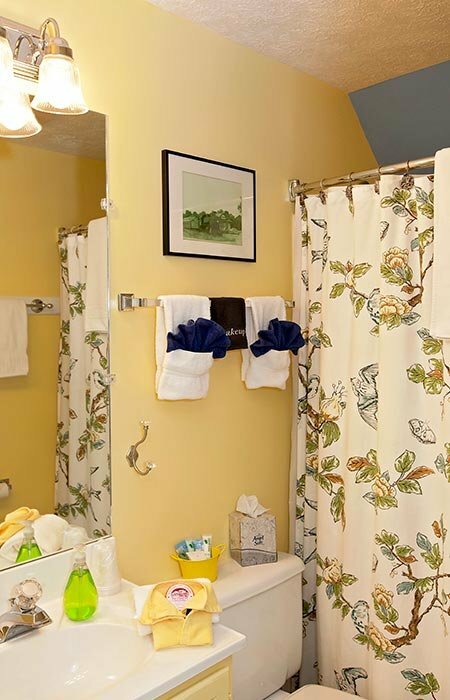 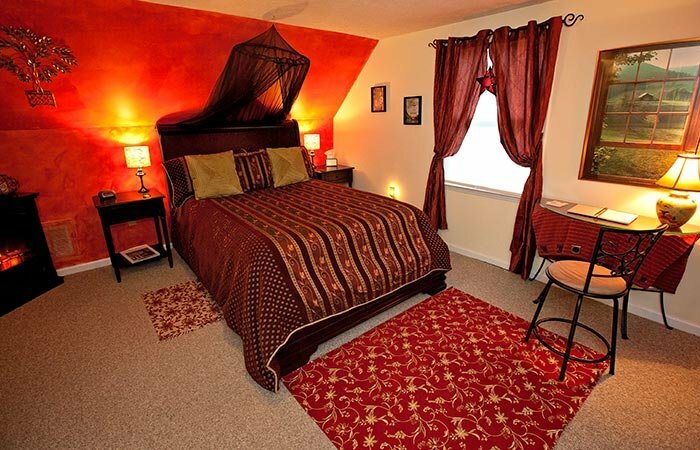 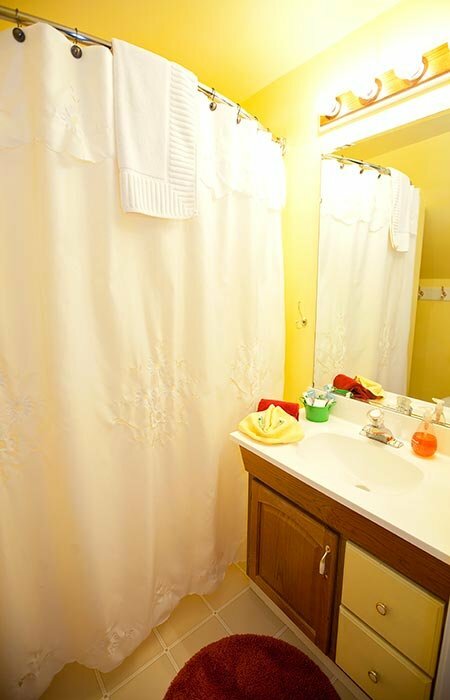 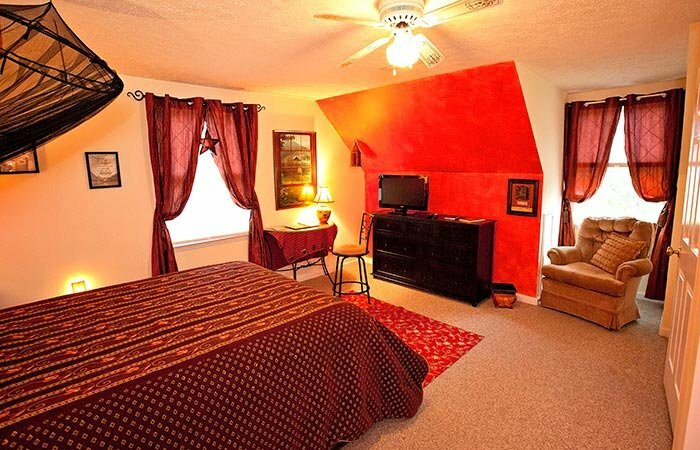 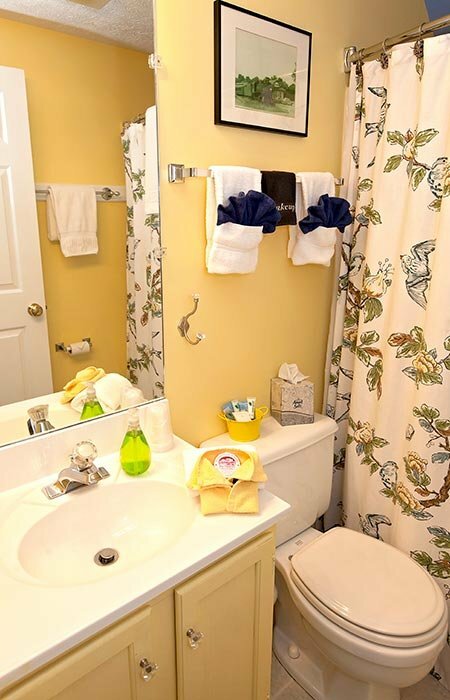 Extended cable TVs & DVD players in each room and a PRIVATE and INDIVIDUAL bathroom with a shower. 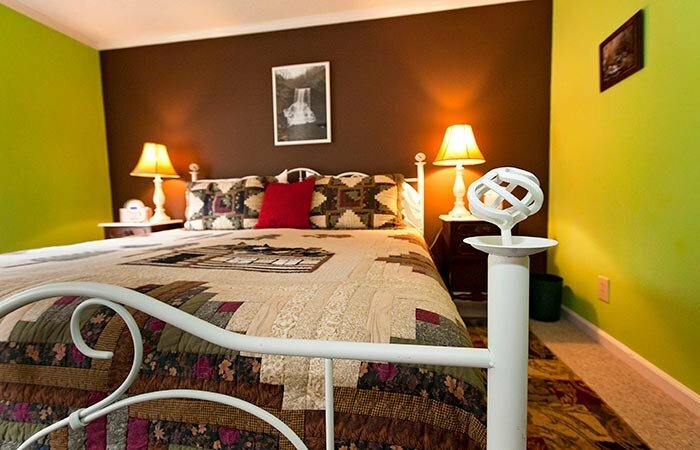 Room rate is based on two people. 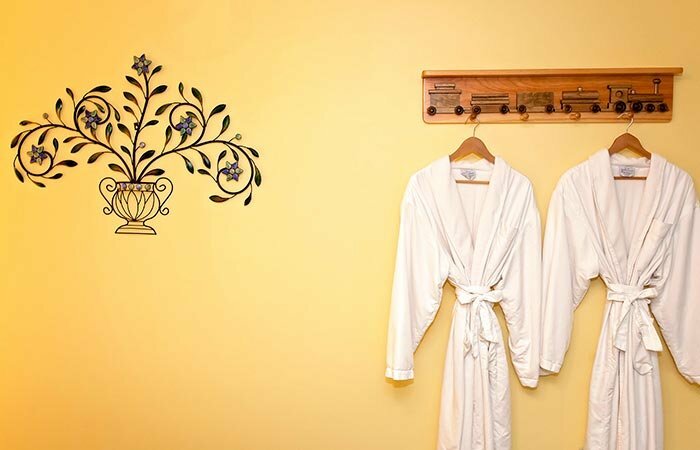 Each additional guest is $50/night + tax. 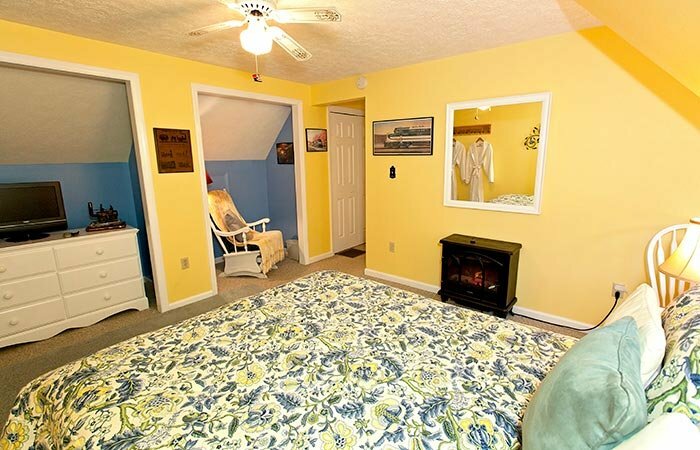 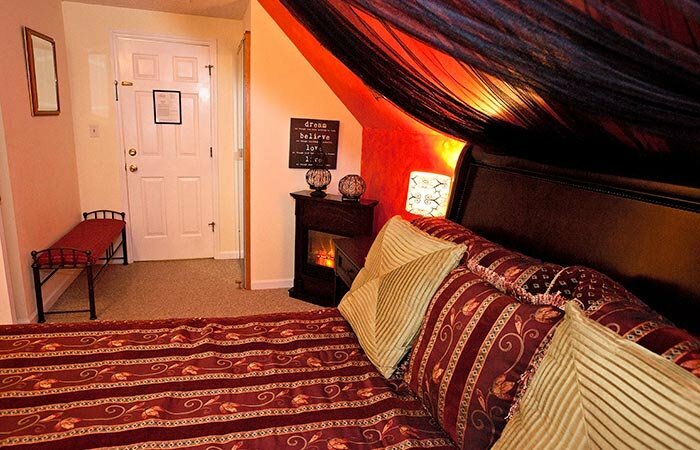 Otherwise known as the “Virginia for Lovers” room, very quaint and romantic. 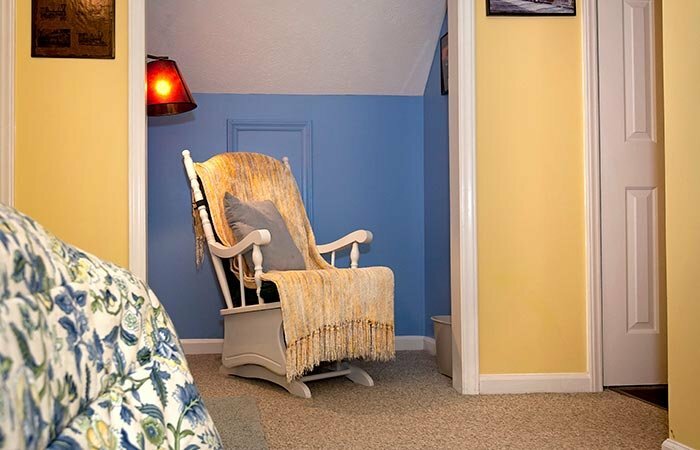 This corner room has plenty of light and the contrast with the dark furniture brings out a certain coziness to it that guests like. 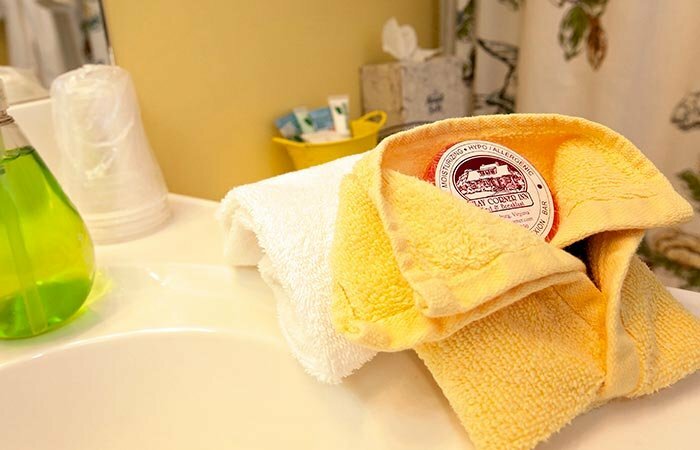 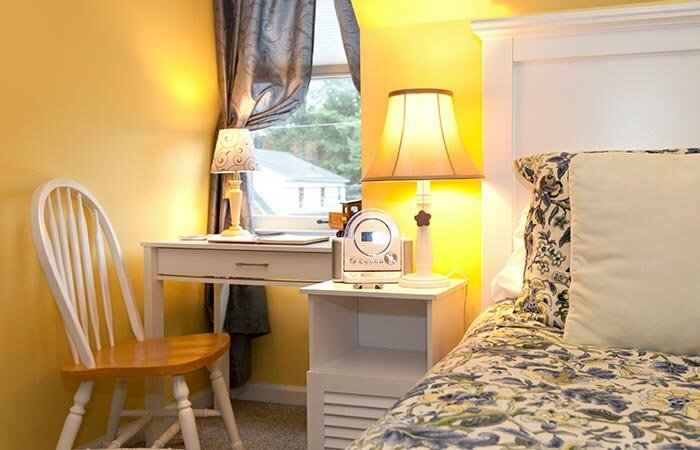 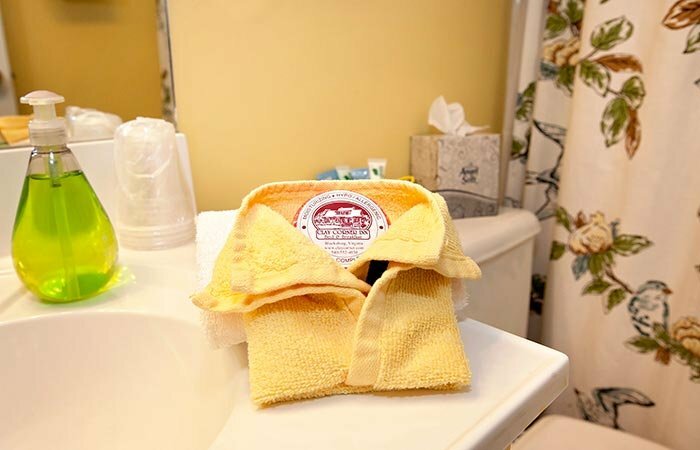 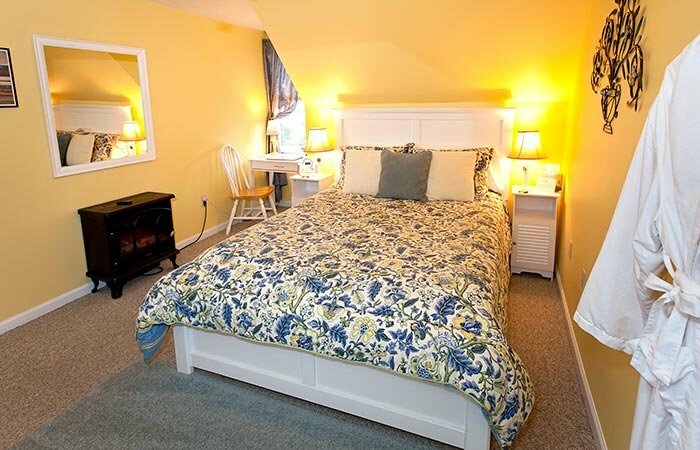 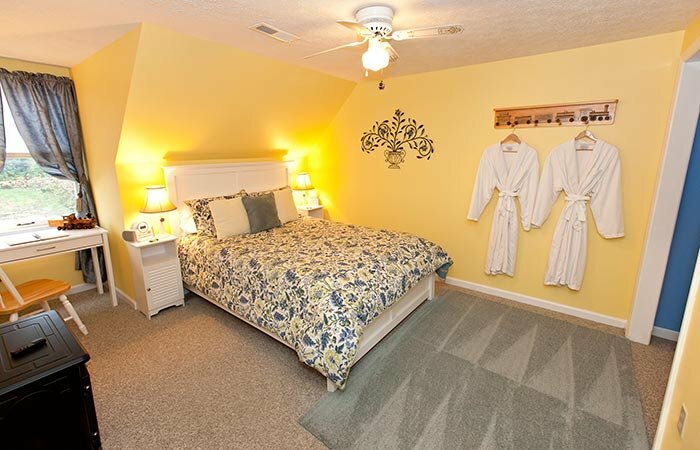 You will find a queen bed, extended cable TV & DVD, electric fireplace and a beautifully decorated PRIVATE and INDIVIDUAL buttercup bathroom with a bathtub & shower. 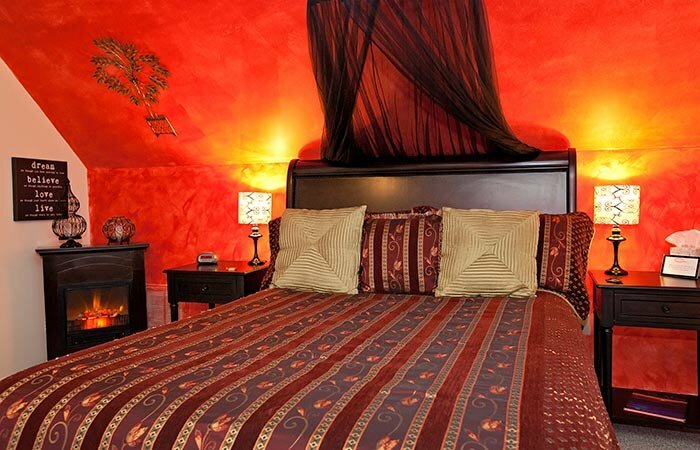 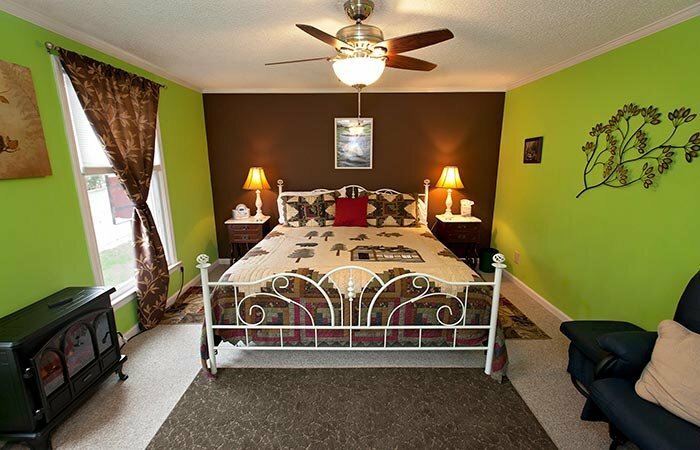 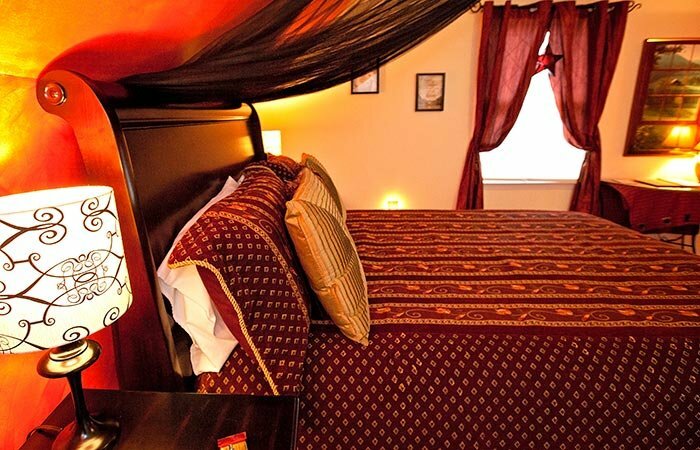 This room is becoming known for Engagements, Honeymoons, Anniversaries or just “The Romance Room.” Room rate is based on two people, however, an additional bed can be added for 3rd person. 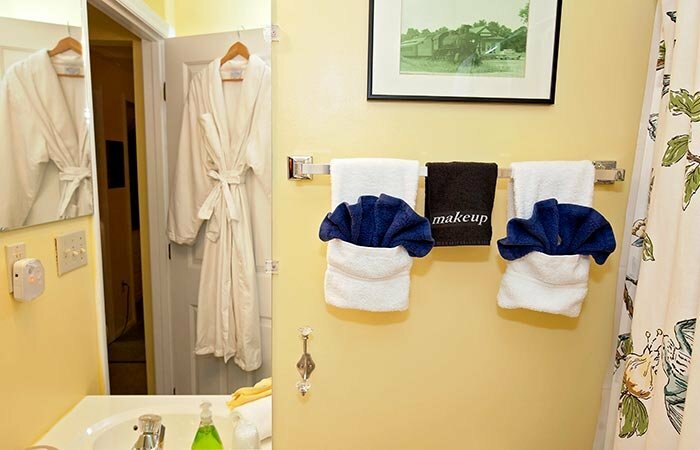 Each additional guest is $50/night + tax.